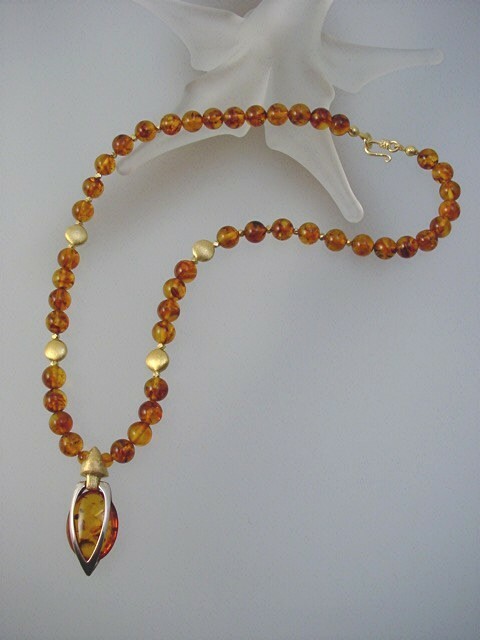 Stylish Baltic Amber Necklace with Unique Handcrafted Pendant. Amber Jewelry Collection by Kotty. Home > Amber > Amber Necklaces > Baltic Amber Sterling Silver Jewelry. Unique Honey Amber Necklace. 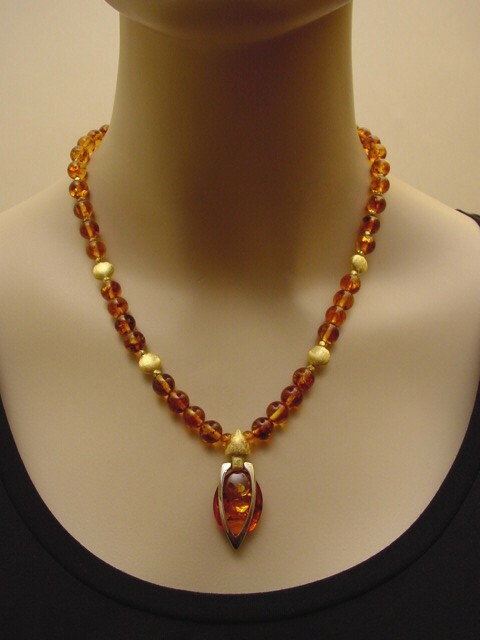 Elegant Baltic Amber pendant necklace in a contemporary design. This artistic ladies jewelry is part of Kotty's boutique collection. Handcrafted in USA. This natural Amber necklace is absolutely a unique piece.